New first floor extension and ground floor remodelling of a unique London home in Islington. Originally an old Georgian stable, the linear building backs onto neighbouring properties from all sides, openings within the facade were therefore restricted. Biscoe + Stanton utilised a strategic placement of lightwells and internal openings to draw light into all areas of the building. An internal window to the half landing of the open tread staircase draws light from above to illuminate the kitchen. A reflective "sun pipe" was installed to draw light into the shower room. The new first floor extension provides a new bedroom and garden terrace. 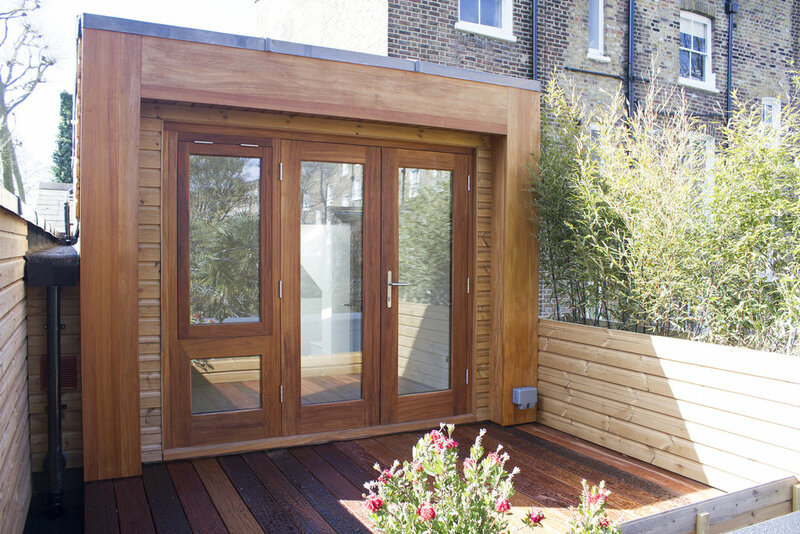 The timber clad 'wedge' shaped room angles itself away from neighbouring windows so not to obstruct existing sight lines. 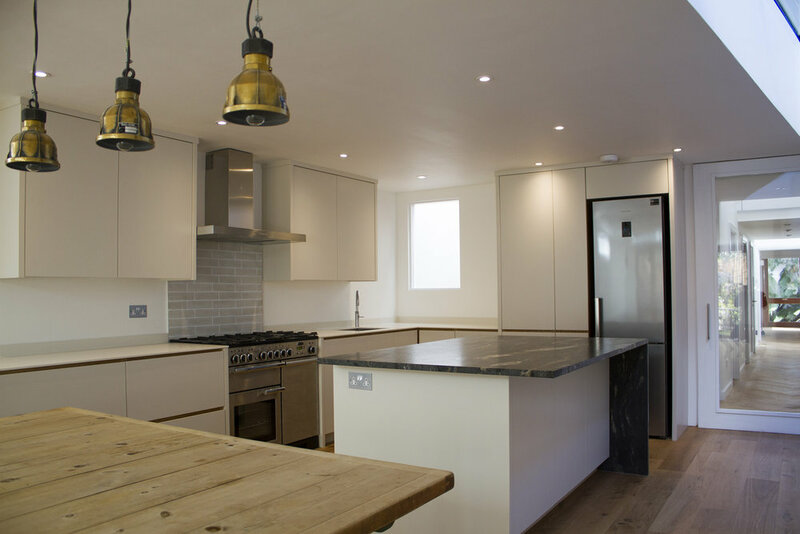 Biscoe + Stanton seized this planning requirement as a design opportunity and installed a 'cheese wedge' lightwell to roof below, providing additional light to the kitchen and living room.